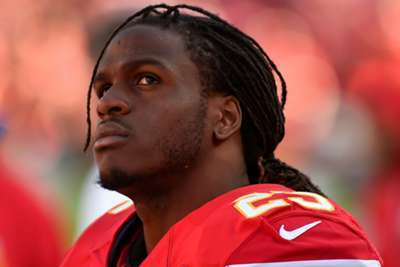 The Jacksonville Jaguars are bring in reinforcements to their running game, signing veteran running back Jamaal Charles on Tuesday. Charles, 31, saw limited duty with the Denver Broncos last season, logging 296 rushing yards for one touchdown and averaging 4.3 yards per carry. The Jaguars have been riddled with injuries in the backfield, with Leonard Fournette missing his fourth game with an ailing hamstring and Corey Grant dealing with a foot injury. Grant joined tight end Austin Seferian-Jenkins (core muscle) on injured reserve. T.J. Yeldon has taken over for Fournette and Grant, but he has been playing on a bad ankle. Charles is a four-time Pro Bowl selection, most recently in 2014 with the Kansas City Chiefs. Among the other players the Jaguars worked out this week was another former Kansas City back, Charcandrick West. Jacksonville also released running back Brandon Wilds and signed rookie running back Dave Williams off the Broncos' practice squad on Tuesday.